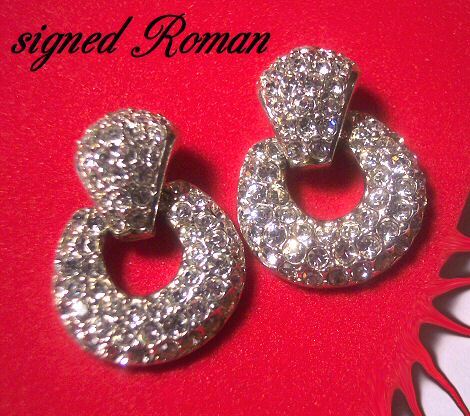 Bright pave rhinestone earrings with two part construction. These are real dazzlers--the photos just don't do them justice! Signed ROMAN on the back. Pierced. Measure just over 1". There is one rhinestone missing which I couldn't even see until I looked with the loupe. Otherwise, excellent condition.